Good sleep is critical in maintaining good brain functions. It is even considered a more fundamental way to keep brain operating properly. The study suggests that sleep is indispensable for memory consolidation. This is based on the fact that important memory boosting activity takes place during the deepest stages of sleep. When a person is deprived of sleep, how one can expect that brain will function normally? The brain will also be sleep deprived. This can lead to compromise of certain important abilities of a person such as creativity, critical thinking skills, problem-solving abilities etc. Whatever you’re doing either working, studying or trying to organize life, sleep deprivation is a way for catastrophe. Our sleep comprises of full sleep cycle loaded with 5 stages. Stage 1 is a stage of drowsiness. Stage 2 is a phase of light sleep. Stage 3 and 4 are considered deep sleep states. Stage 5 is the rapid eye movement (REM) in which we see dreams and certain physiological changes occur. It is also hypothesized that memories are strengthened during this REM stage of sleep. This also says that we experience our memories again in our dreams, leading to the creation of a record of events in our mind. In spite of the legitimacy of this hypothesis, it is well-known that a lack of sleep harms our cognitive abilities. Why is Sleep So Important for Our brain Health? Sleep is considered to be a necessity of good life and body functioning. When you sleep, brain recall the prior day’s occurrences, prepare your memory and generates the release of hormones modifying energy mental acuity, and the moods. To carry out this important task, the brain requires a time period of 6 – 7 hours. This means you have to sleep 6-7 hours to keep the brain carrying out it’s this important function. 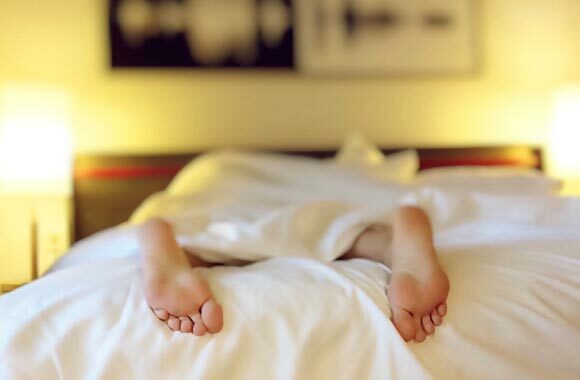 You have noticed when you have not taken a proper sleep; you feel lethargic, poor concentration, mood disturbances as well as lack of creativity, clearly explaining the need for proper sleep. As we have just discussed that many important physiological changes occur in stage 5. Likewise, stage 3 and 4 sleep i.e. deep sleep is critical too. Here brain performs functions such as hormonal regulation, physical rejuvenation, and growth functions. If a person has not taken it, he will be deprived of these vital processes. He will more be expected to get unwell, feel miserable, gloomy and even gain a detrimental weight. In REM sleep the brain processes and carried our functions such as important for memories and emotions, actions that are vital for learning and higher level reasoning and thought. A lack of the stage 5 REM sleep consequences in poor cognitive and social dispensation, troubles with memory, and obscurity in concentrating anything. An insufficient sleep leads to work performance paucity or poor performance. Sleep deprived people are likely to suffer from zero activity of temporal lobe, which contains an important region for speech. You can check this effect by the presence of slurred speech in prolonging period sleep-deprived person. Parietal lobe carries out problem-solving activity, for instance, math question-solving ability. It may also be affected resulting in slower ability to solve such question along with less accuracy. The frontal lobe, being the most important brain part for carrying out speech, novel and creative thinking and reasoning are also highly affected due to poor sleep. Such individual finds difficulties in thinking of some imaginative ideas or plans. Hallucination may also be seen in people of prolonged sleep deprivation. Thus, healthy mind and body need proper sleep. It is said that the healthy people go to bed with the dusk and wake up with the crack of dawn. So take proper sleep in line with natural way if you want to enjoy all the activities with delight.